You have met the minimum in-state residency requirement if at least one spouse has lived in Oklahoma for six months. If you and your spouse are no longer compatible, you can file a no-fault divorce. All Oklahoma divorces are filed in Circuit Court in the county where either spouse lives. Oklahoma is one of the fastest states in the U.S. for finalizing an uncontested divorce. Uncontested divorces with no children are usually finalized 10-30 days after the divorce is filed. If you have minor children, your divorce can be finalized in just 90 days. 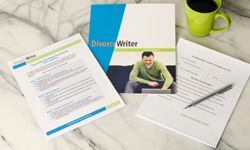 You have qualified to use DivorceWriter to complete your Oklahoma divorce papers online. Select "Continue" to start the interview.